Air duct cleaning is a process that should be completed often, especially as the seasons transition and there appears to be more dust in the air. Without regular cleanings, your air ducts can become prone to excessive build-up, debris, and can even recirculate dust and chemicals back into the air you breathe. To avoid this, we recommend considering frequent air duct cleaning services to ensure that everyone in your home is kept safe, healthy, and breathes clean air. The frequency needed to keep your air ducts clean really depends on the size of space you’re trying to ventilate. Larger spaces that attract more dust or are used more often will likely need to be cleaned more frequently. While there’s no set number of times a year that your air ducts should be cleaned, we recommend having them cleaned at least 1 – 2 times, in between seasons. Cleaning them before Spring can reduce allergens carried in from the outdoors while having them cleaned again before Winter can ensure that they’re prepared for colder weather and more frequent use. The process of cleaning your air ducts can be completed in a short space of time. Using modern technology and machinery, we’re able to attach a vacuum to the air ducts that forcefully suction and remove any and all debris. Any bugs, rodents, or build-up are also removed if not done so already by our vacuums. If, when cleaning your air ducts, we find that larger pests are present in the air ducts, we’ll advise on further pest removal and extermination solutions to rid the area of infestations. Sanitation is one of the driving factors that has put us in the industry we’re in today. We want to ensure that your home or commercial property is kept safe and healthy at all times. To reduce the potential for airborne illnesses, disease, or allergens being spread, we work thoroughly to clean air ducts of dust, debris, and residue. Whatever our vacuum fails to pick up, we’ll then go back in to clean up any remaining build-up that we find and can check the quality of your air ducts. 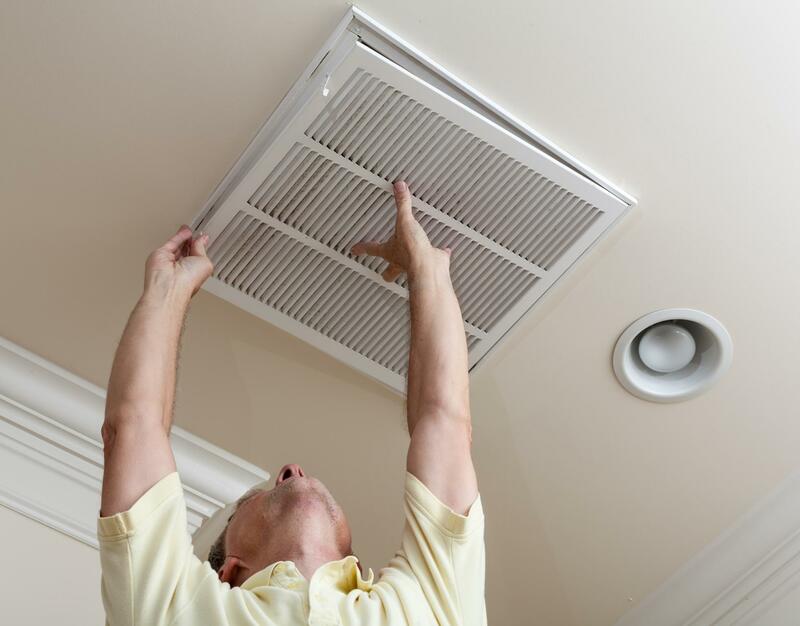 By checking the quality, we can reassure you that your air ducts are prepared for immediate usage again. When having your air ducts cleaned, you’ll instantly notice a difference in the air quality and functionality of your ducts. Our air duct cleaning services are intended to be long lasting and keep your ducts clear and ready for use. While the amount of dust and debris that your air ducts accumulate will depend on the season and how often they’re used, we work to clean each duct with attention to detail so the results can persist through extensive use. We know that air duct cleaning isn’t an exciting project you want to be done all the time, so we make sure to reduce the need for over-cleaning by ensuring that our air duct cleaning services are lasting and genuine.